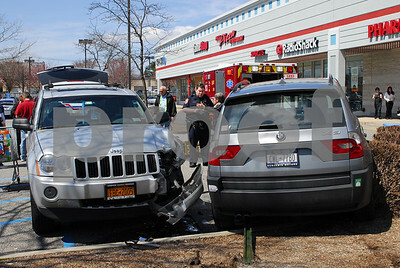 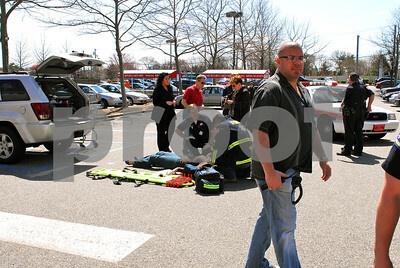 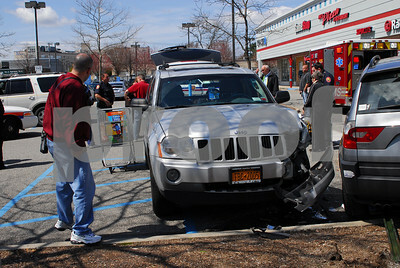 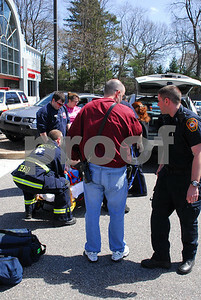 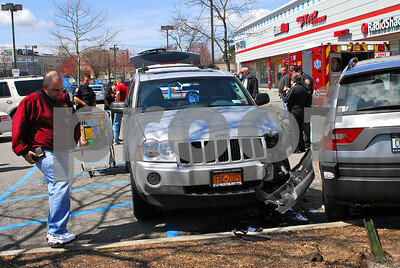 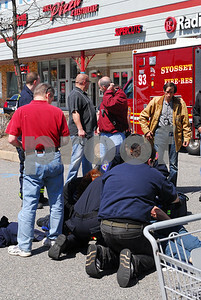 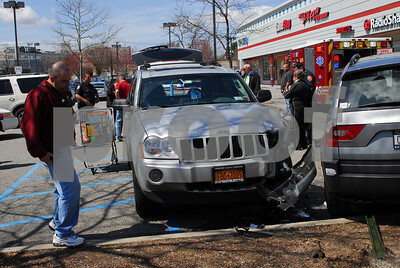 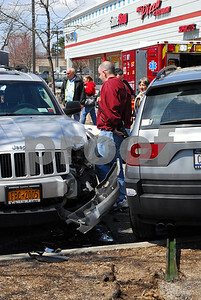 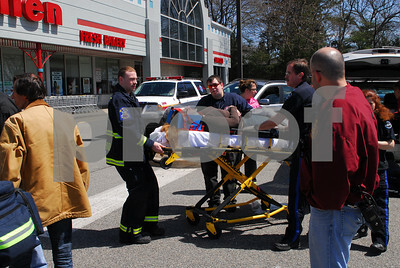 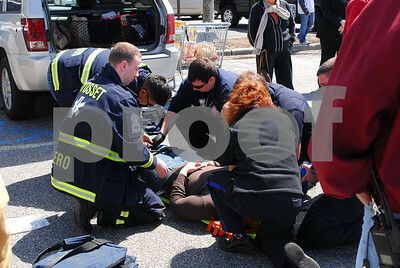 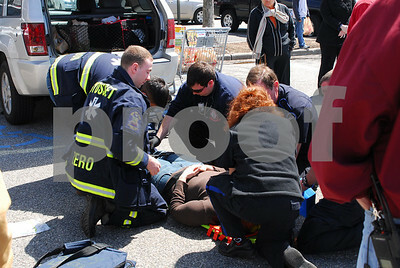 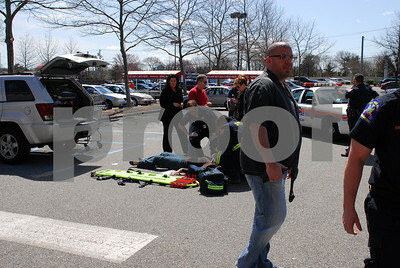 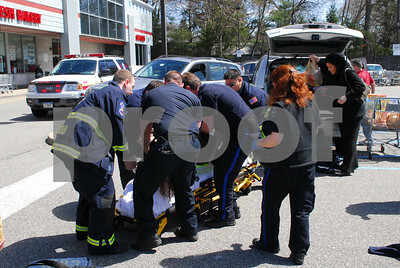 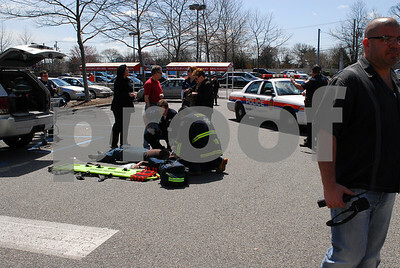 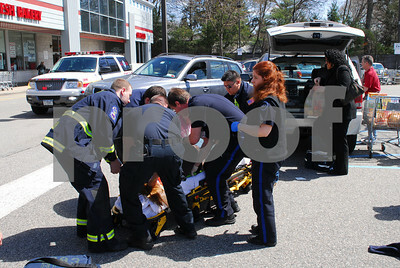 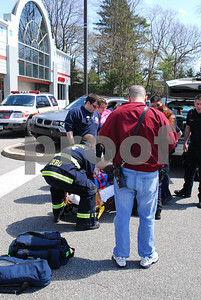 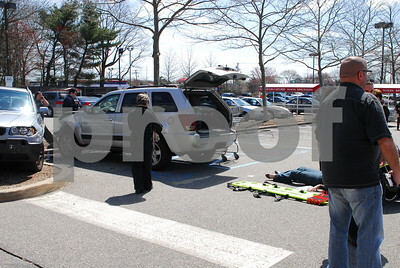 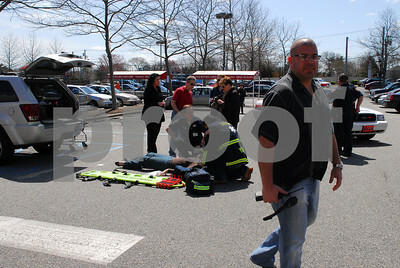 In what can only be described as an "unusual" MVA, Syosset units were dispatched to the King Kullen store on Jericho Tkpe around noon on April 14th.. A woman putting groceries in her vehicle, was struck by her own car when an errant vehicle lost control and struck her car while it was parked. 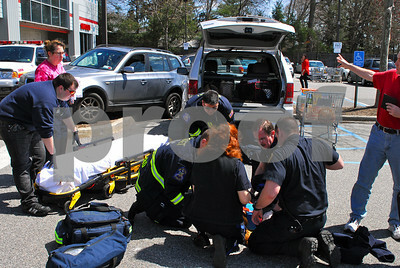 Luckily, a nurse and two medics from North Shore Ambulance were on the scene prior to the fire department arrival and stabilized the victim. 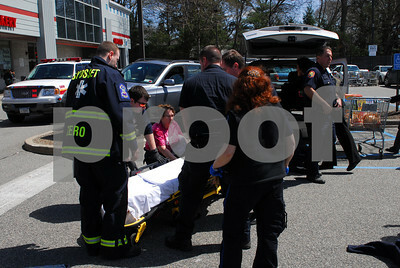 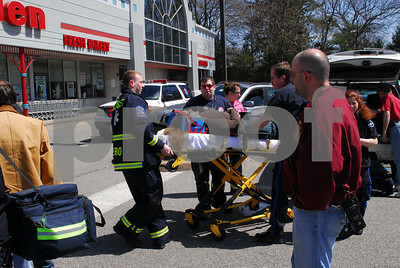 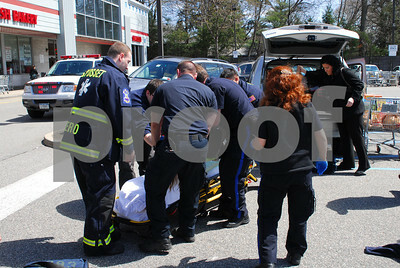 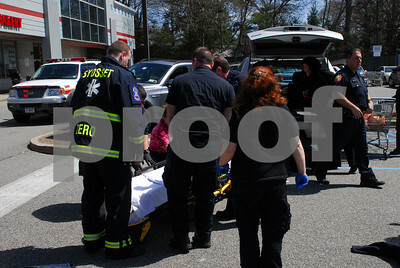 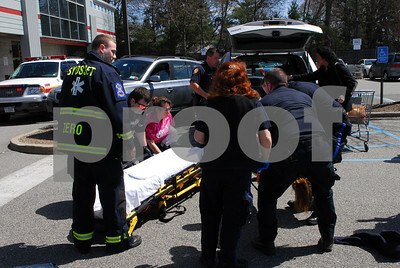 The injured party was transported to North Shore Syosset Hospital by ambulance 5892. 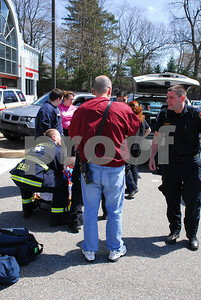 Newly elected Assistant Chief Doug Share was the OIC.